Raising an only child is sometimes rather difficult, especially if you are a single parent too, although even two-parent families struggle with how to best parent single children. Raising children is always filled with joys and challenges, and raising an only child can have more of both. The conundrum of parenting too much or too little is one that is faced by many parents of an only child, and it is sometimes difficult to find the right balance. Single-child families are not an anomaly. According to the U.S. Census Bureau, in 2011 there were 15 million households raising an only child. According to Federal Current Population Survey statistics, this is not a new phenomenon either; single child families have either equaled or outnumbered families with two or more children for most of this century. The truth is that US birthrates have been on a steady decline since 2007 and instead of the American Dream of “a white picket fence, 2.5 kids…” it is now predicted that the average woman will now have 1.9 in her lifetime. I never could work out the 20% of a child, neither the 90%, so let us just say that today the average American woman will raise an only child, according to statistics. Unfortunately there has been a stigma attached to families who decide to have an only child since a study by G. Stanley Hall was released in 1896, declaring that “Being an only child is a disease in itself.” Fortunately many studies have been conducted over the past 30 years that disprove that theory. Raising a child today is very different to raising children in the 19th century. The advent of urbanization, nursery-schools, daycare, and after-school activities provide sufficient peer interaction, competition, stimulation and various opportunities for social-skilling. The choice of how many children to have is yours and your partner’s alone, so do not let anyone make you decide otherwise. If you do decide to only have one child, however there are various facts that need to be taken into consideration and more than a few tips that will help. Only children, who really just want to be liked and included in groups of their peers, will actually learn very quickly that trying to boss others around and acting aggressively will count against them. At a certain age all children believe that the world revolves around them, but they soon grow out of it as they get older and begin to socialize with other children. Children with siblings that are much older than them and only children may experience this a bit more, but if the parents instill a culture of sharing, compassion and empathy in their offspring this too is not a problem. In actual fact, nothing could be further from the truth. According to studies conducted at some kindergartens, children who have older siblings and have to compete with them for attention, toys, and other things are more likely to want to “play boss” than only children who tend to function in a calmer way. According to research, there is no proof that only children are any more spoilt than any other child. So, as long as the parent ensures that their offspring spends enough time with children their own age, and does not over-parent, there is no difference in raising an only child. Whilst single children never have the problem of sibling rivalry, this can lead to problems of them being spoilt and thinking that they must always get everything that they want. It is important that parents of an only child meet all of the commitments they have, such as camaraderie, some form of competition, and both physical and mental stimulation. It is vital that parents of an only child ensure that their offspring takes part in peer activities so that they learn to deal with children of their own age and do not seek adult company all the time. Being in adult company too much of the time makes children old before their time, leads them to think that they are older than they are and can lead to them become demanding of attention from adults, specifically their parents all the time. This can lead to huge problems if the parents do not keep this under control. One of the biggest gifts a parent can give a child is the gift of quality time, but parents of only children must be wary of spending too much time with their offspring. This could lead to dependence on the child’s part and sometimes even a co-dependent relationship. An only child needs to learn independence and how to occupy their own time, either by doing something on their own or by spending time with friends their own age. It is very easy to coddle an only child, but that could be a big mistake as it could make them dependent on you. Encourage your children to develop healthy relationships with other adults in you circle of friends and family, so that they have someone else who they can confide in and from whom they can take cues. Don’t be discouraged if your only child confides in another adult such as a favorite aunt, uncle or their best friend’s mother, or turn to them for advice; sometimes they just need someone other than a parent to speak to. It is very important that an only child realize that other people do also get a say, so instead of always giving them their way when they want to do something, suggesting that you would prefer to do something else will teach them to be unselfish. It is important for parents to realize that your only child is a child, and even if they tend to be a little mini-me, they are independent individuals. It is important that although only children often grow up as mini-adults, you as parent must allow them to develop their own personalities and not put too much pressure on them to do all the things that you could not do. Allow your only child to find their own interests, even if they are not yours; don’t push him to become an athlete because that was always your dream, or push her to do ballet because you did. Children need guidance and must be allowed to explore their own interests, not pressure to push themselves beyond their limits to do things that they don’t want to. Laughter really is the best medicine, and it is important that you laugh a lot and teach your only child to see the humor in life by being a good role model. Only children can be very serious, and laughter will go a far way to avert them becoming too serious, logical, and scholarly. 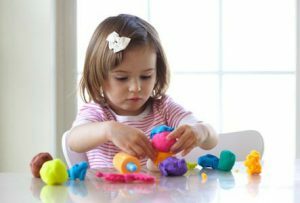 Only children can become very lonely without any siblings; this can lead to them developing ties to inanimate objects such as stuffed animals or dolls, or creating imaginary friends. It is important that you as the parent realize that no matter how much love and time you lavish on your only child, they need someone of their own age to relate to. Encourage your child to make friends, have friends over, and make play-dates at your home and at his or her friend’s homes. Encourage team sports and group activities to make it easier for your only child to socialize with his or her peers. Have your son join a scout group, or a band, and let your daughter play a sport she likes or do ballet or a drama class. Do not push your child to do what you think that they ought to do, as this will backfire, but try to find out what they are interested in and source a group activity that they can take part in that they will enjoy and which will teach them socializing skills as well as help them to create friendships. Only children tend, as a general rule, to be perfectionists. Do not reinforce their perfectionist habits by redoing everything they do, such as remaking the bed if they do not do it perfectly or wiping down a shelf they have just cleaned. So what if they do not do it perfectly, they are children, let it go or your child may develop a habit that ruins their life later on. Before picking up the dishes after them or picking up their laundry off the floor, ask yourself whether you would do that if you had three children. Doing everything for an only child is a disservice to them as they will not learn responsibility that way. Whilst it is good to set goals and every parent ought to teach their child this, an only child can tend to be too energetic, enterprising, ambitious, and willing to make sacrifices in order to be a success. This can lead to them putting undue pressure and stress on themselves to be the best in everything. It is important, especially with an only child, that you let them know that whilst goal-setting is good, there is more to life than just work or winning all the time, and that you will be just as proud of them even if they don’t win. Parents of an only child can very easily make their children to dependent on them, which will not serve them well later on in life. It is important that you let your only child go; go to sleepovers, go to retreats, go on sleep-away camps, go on team or group tours. This will help them to become independent, learn to live with others, and prepare them for when they go away to college or eventually move out o their own. It is natural to spend all of your time and energy on an only child, but it is wrong to coddle them as that will only lead to them not learning to do things for themselves. Be there as a teacher, a confidante, and a mentor, but allow your child to be exposed to uncertainty and problems at times, without immediately jumping to “save them.” This will allow them to develop problem-solving skills, assert their independence and learn to take responsibility for mistakes. Love your only child, but love them enough to not make them into a “mini-me”; allow them to develop their own personalities and you will make a great parent.